"Harle loves juxtapositions - long, silky saxophone notes against the sound of a classical soprano singer, the toll of a church-bell, African percussion rhythms, - that's the background to Silencium, but it's still an album of songs - it's just that Harle makes you reconsider what a song can be." 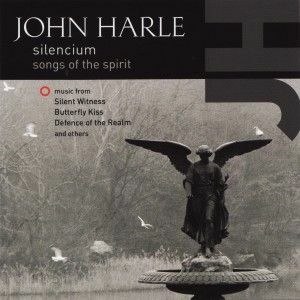 "I bought this CD just for the theme music to Silent Witness ('Silencium') which is absolutely wonderful, yet almost haunting. But you already know that! What you might not know is that 'Morning Prayer' is just as good and 'Light' really does seem to energise the room with light. I am so pleased that I bought the entire album and not just a single download..."
All material © Sospiro - 2019 unless otherwise credited.